Marketing doesn't come naturally to many. 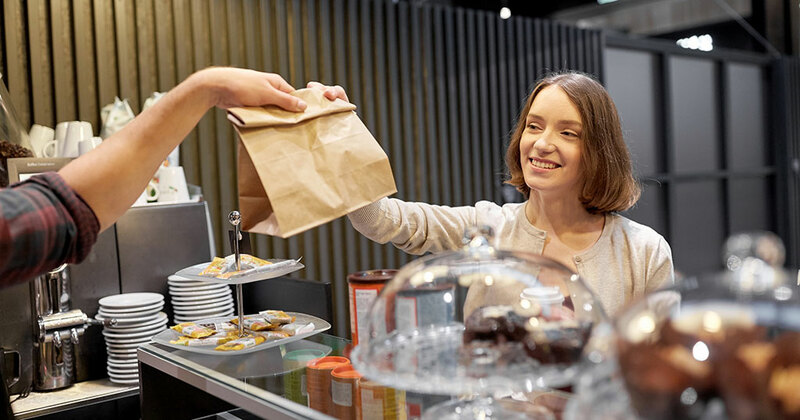 However, it can be learned, and many resources are available to new franchisees that can help them become skilled at building their customer base and growing their business. No matter how much aid you may receive (from franchisors, franchisees, coaches, or the community), it's still on your shoulders to make it happen. Your franchisor is the go-to resource for marketing information, tactics, and materials. While your marketing education begins with your initial training, you can learn a lot before that in the investigation and validation stages of your search for the perfect brand. Although much of the information below is SOP (standard operating procedure), remember that as you learn to fly your new business, even the most experienced pilots always consult a checklist before taking off. Pre-opening -- There's a new business coming to town: yours! So get the word out with signs in the window, calls to the local media, walks around the neighborhood meeting owners of other businesses in your area. Advertise opening-day giveaways, coupons, etc. Use social media (Twitter, Facebook) to spread the word. Your franchisor can and should help. Grand opening -- Whoop it up! Announce the date well in advance, make it a festive occasion, and above all, provide material incentives: giveaways to the first 50, 100, or 500 people, free samples, balloons, flyers, the whole nine yards, including discount coupons to bring customers back, and an email signup list to keep them informed of special offers. Again, your franchisor has done this before and can help. Ongoing support -- The franchisor's field support reps have much to offer, especially during new product introductions and promotions. Ask for help, advice, and be willing to share any problems or obstacles you're facing in the area of marketing. They've seen it all before and should be able to provide you with solutions and suggestions, as well as the names of experienced franchisees you can contact who might also serve as a coach or mentor. Intranet -- Most franchisors have internal communication vehicles set up for franchisees to use for sharing best practices, asking questions, discussing common issues, and otherwise communicating with one another to improve their operations. These systems are also used for communications from corporate, to announce and explain new initiatives, for example, and to provide a feedback system for franchisees to contact them. It also can be used to download marketing materials. Use it. National and regional advertising -- If you're part of a well-known national brand, use that to your advantage. Television, radio, and newspaper ads for the brand can only help. Your job is to connect the more generic brand ads to your local marketing efforts. Marketing materials -- Increasingly available on the company intranet or other system, marketing materials approved by the franchisor can be downloaded, customized for your location and market, and distributed through any local media you like, from print or radio to Twitter or your own website; and, of course, in your store windows and through in-store flyers and coupons. One great benefit for new franchisees, unavailable to independent business owners, is the other franchisees in your system. What's unique to franchising is that the success of one franchisee is good for every other operator because it builds the brand and increases market share and penetration. Also, experienced franchisees have already walked many years in your shoes, so they know the road ahead, both its dangers and its opportunities. So take advantage of your older "siblings" in your new franchise family. Tap into the existing network of expertise and goodwill in your system. Ask existing franchisees what's working for them, and what's not. And don't be shy about asking them where they experienced the most trouble in beginning their marketing efforts: it could save you some trouble of your own! Franchisee advisory councils/associations -- These groups, composed of franchisees, represent the interests of franchisees to the franchisor. Historically, many of these groups had antagonistic relationships with the franchisor, but the trend nowadays is more toward cooperation as both sides realize they share common interests. Often populated by veteran franchisees, these groups also are open to new franchisees interested in learning more about the big picture of their franchise system. You'll find many opportunities to network, contribute, and learn here. Intranet -- This internal communications tool, a members-only online meeting place and resource, provides an opportunity to keep up on new products, services, and promotions; download new marketing materials that you can customize for your market; and a chance to ask questions of and connect with other franchisees. Next: Marketing inside your business through community involvement, and using social media and mobile marketing to attract and retain customers.